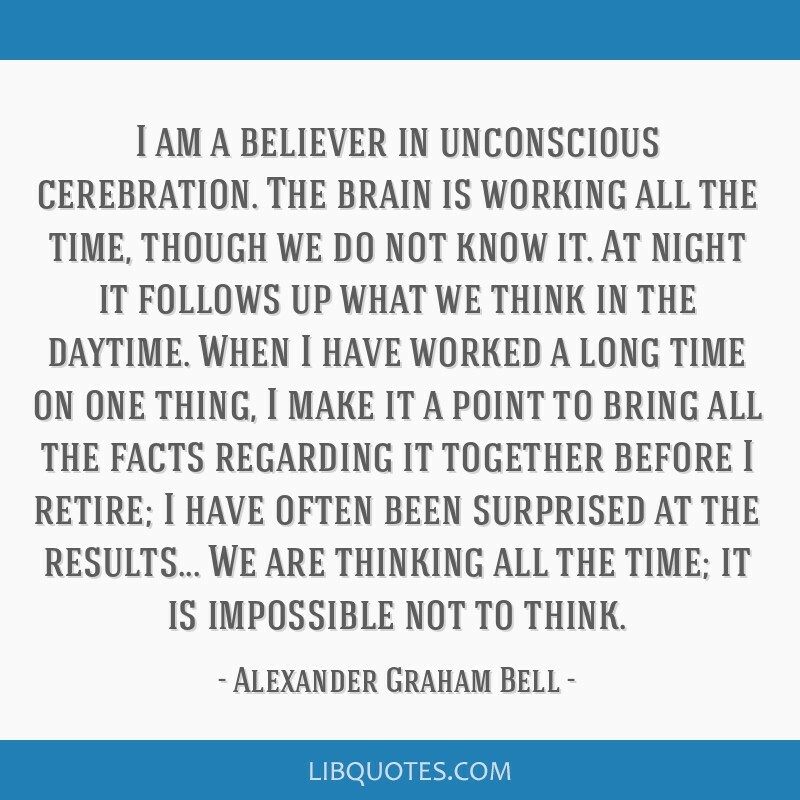 I am a believer in unconscious cerebration. 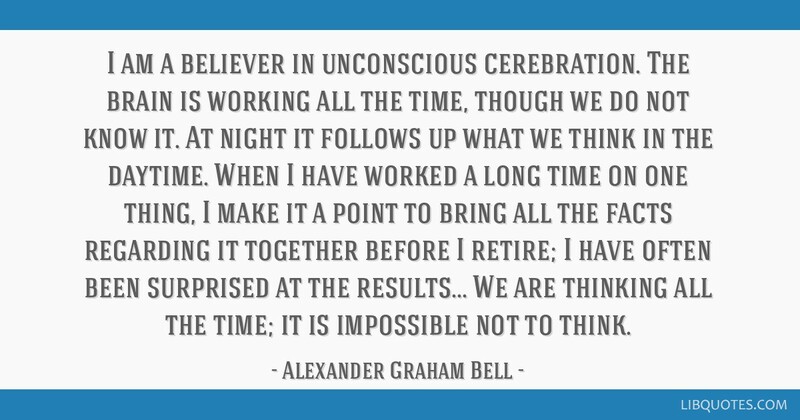 The brain is working all the time, though we do not know it. 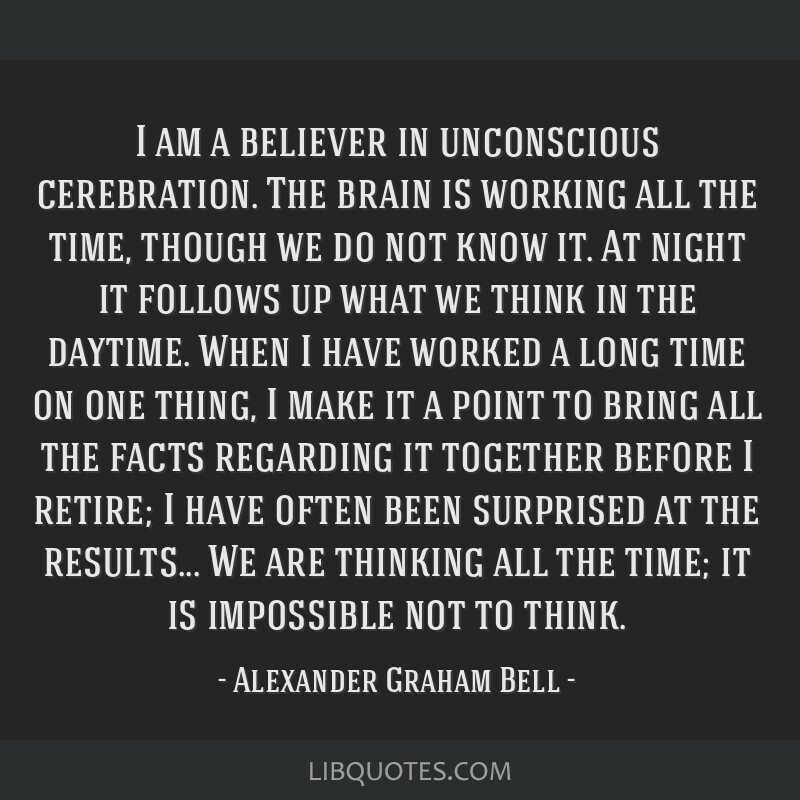 At night it follows up what we think in the daytime. 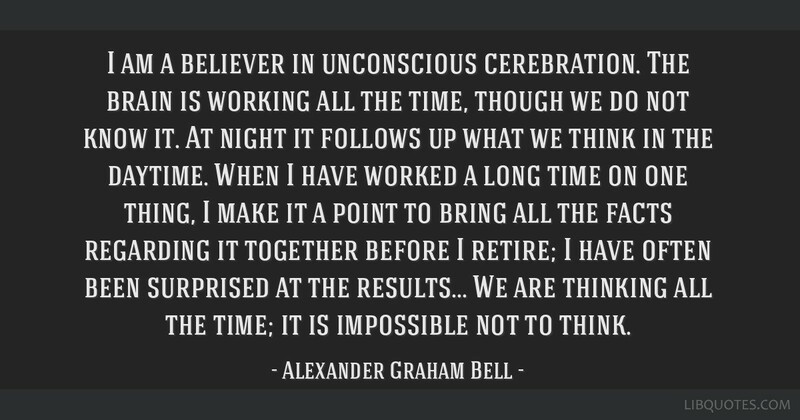 When I have worked a long time on one thing, I make it a point to bring all the facts regarding it together before I retire; I have often been surprised at the results... We are thinking all the time; it is impossible not to think.